GREAT BIG SONGS FOR GOD'S LITTLE PEOPLE!!! 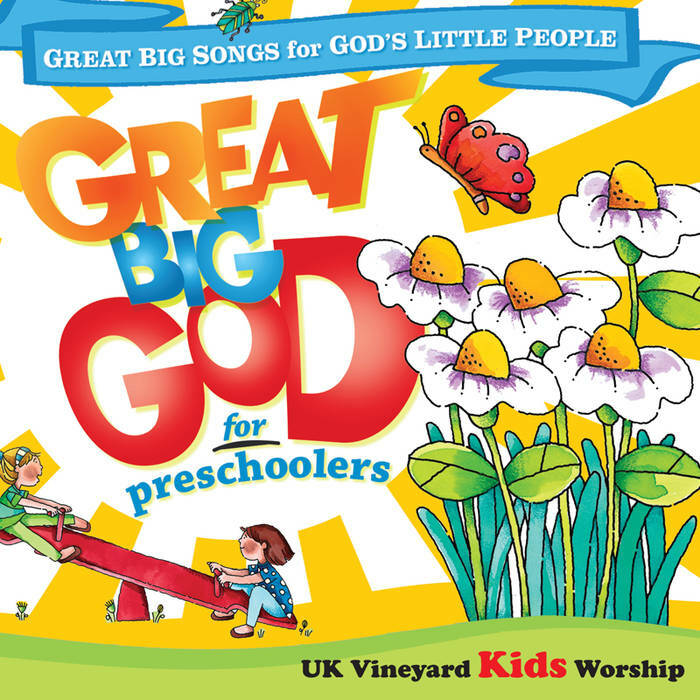 Great Big God For Preschoolers brings you a specially selected range of songs that have been musically and lyrically arranged to appeal to the under 5 year old. Speaking simple but powerful words of truth, faith and love, this album will help to instill Godly principles into your child at an informative time of their life. And as a bonus, the final track will also help with the night-time sleep routine! Great Big God Preschoolers CD by Vineyard is published by Vineyard Records UK and is our 1950th best seller. The ISBN for Great Big God Preschoolers CD is 6573300305228. Be the first to review Great Big God Preschoolers CD! Got a question? No problem! Just click here to ask us about Great Big God Preschoolers CD. Great Big God Preschoolers CD, can you tell me what songs are on this please? A:The songs are: 01. Great Big God 02. Good News 03. Lions Roar 04. All Singing Child 05. I Like God 06. Special 07. Deep Down 08. My Very Best Friend 09. You Don't Have to Be Grown Up 10. Shake My Shaker 11. Kiss It Better 12. It's Time to Sleep Thank you for using the Q&A Forum.